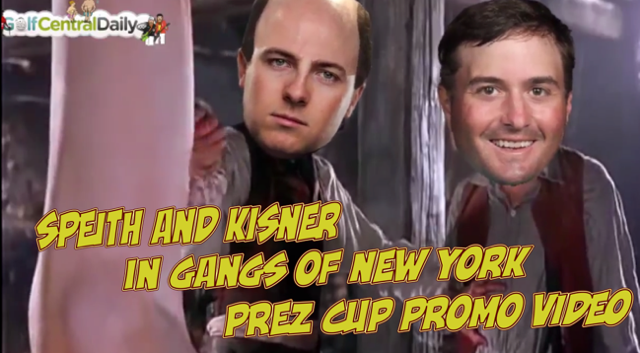 Loved this new President's Cup promo video starring Jordan Spieth and new guy Kevin Kisner. Spieth stars as Bill "The Butcher" Cutting and shows the kid how the new Team USA intend to slaughter the opposition! In the lead up to the President's Cup Jordan Spieth shows Kevin Kisner how the new Team USA conducts its slaughtering!